New Item. 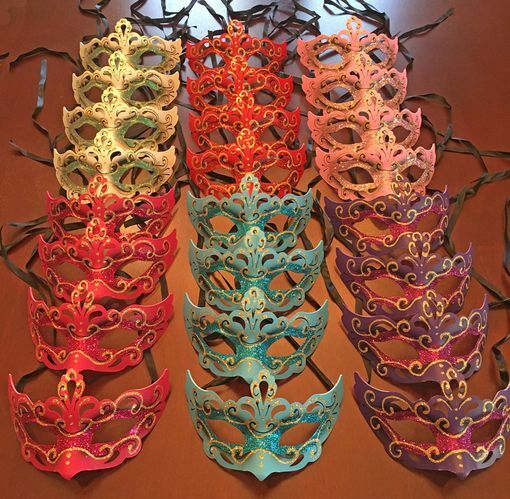 Jennifer Masquerade eye mask party pack comes with 24 assorted colored masks. Masks are hand painted and glittered. Masks are made of a strong molded plastic and more durable the paper mache masks.